Most tourists are interested in going to the exciting and popular cities when traveling to another country. This may be because these cities are more developed and urbanized in comparison to rural areas. Also, typical popular cities offer the best high-end restaurants and shopping malls that a lot of people would go crazy over. However, despite these cities being urbanized, there is something about towns that still speaks of its offer of another distinct experience. In the land of Japan, probably the most popular locations are Tokyo, Osaka, and Kyoto. Tokyo in itself is already a metropolis composed of various urban places that are brimming with tourists every year. However, if one would like to visit a small, more quiet place in Tokyo, definitely check out the town of Komagome. When taking the public transportation, the best way to go to the town of Komagome is by taking the train to Komagome Station. Also known as Komagome-eki in Japan, Komagome Station is basically a railway station located in Toshima, Tokyo, Japan. It is currently under the operation of the East Japan Railway Company, or JR East for short, and the Tokyo Metro, which is a Tokyo subway operator. Opened in the year 1910, it has gone a number of developments and improvements through the years. 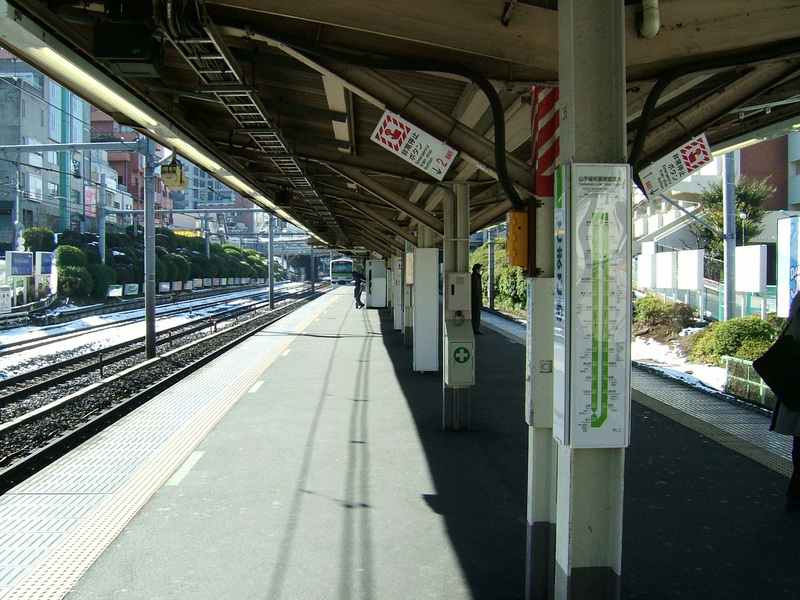 At present, the Komagome Station is served by two lines, namely, by the Tokyo Metro Namboku subway line and the circular Yamanote line. Among its many developments were the platform edge doors with the height of up to the chest of a regular person. These were installed on the platforms of the Yamanote Line in the year 2013. With the station code N-14, the Komagome Station is also connected to bus terminals. To give a brief history of the Komagome Station, it was opened on the 15th of November in the year 1910 by the Japanese Government Railways. Initially, the purpose of this railway station was to serve as a station of the Yamanote line. On the 13th of April in the year 1945, the station building suffered a fire and eventually burned down due to an air raid that occurred during the Second World War. On the 1st of April in the year 1987, Tokyo Metro, formerly known as TRTA at the time, opened a subway station to serve their line as well. Situated to the south of Sugamo, the Komagome Station is located at a convenient place. Also known as “Grandma’s Harajuku,” Sugamo is the famous shopping district of the capital. Hence, people arriving at Komagome Station can already head straight to the shopping district for a little retail therapy. On the other hand, the station itself is not surrounded by tourist attractions. Located in a much quieter residential area, not many people gather around the station or visit the place everyday. Hence, for people visiting Komagome, it would be best not to expect huge and fancy shopping malls or high-end restaurants and diners over there. Although the area of Komagome is not as popular as its neighboring areas with various tourist sports, it is quite well-known for its gardens. In fact, most say that Komagome houses some of the most exquisitely designed gardens in all of Tokyo. Due to its beauty, these gardens are very meticulously maintained so as to prevent the flowers from decaying. In fact, probably two of the most beautifully landscaped green spaces in Tokyo, Japan is located in Komagome. These two gardens are known as the Rikugien Garden and the Kyu Furukawa Garden. For people who love gardens or flowers in general, visiting these two garden would surely be a treat not to be missed. People coming in from either Tokyo or Shinjuku can take the JR Yamanote Line to go to Komagome Station. It would take only about 15 minutes to get to Komagome Station. Upon exiting the station, there is this casual “old downtown” vibe to the atmosphere. The two famous gardens are already quite accessible on foot from here. The first stop would be Rikugien Garden. The walk to Rikugien Garden from Komagome Station can take only around 7 minutes to the south. This territory was given to Yanagisawa Yoshiyasu, who lived from the year 1658 to the year 1714, known as the head of the Kawagoe clan in what is now known as Saitama Prefecture. This land was given by the fifth Tokugawa Shogun known as Tsunayoshi. Tsunayoshi decided to create a garden from this land. After 7 and a half years, the garden was finally completed in the year 1702. It is a common example of the well-known gardens that were made during the Edo period, from the year 1603 to the year 1867. The garden also became a second home to the founder of Mitsubishi known as Iwasaki Yataro during the Meiji period from the year 1868 to the year 1912. He was one the three primary conglomerates, also known as zaibatsu in Japanese, of early-modern Japan. However, the garden was donated by the Iwasaki family in the year 1938 to the City of Tokyo. With its name based on the “six elements of garden poetry,” the Rikugien Gardens has many key features such as a large pond accompanied by several small islands that dot the middle of the pond. This gives off a nice view no matter the time of day and year. Other features that put a nice touch to the gardens are the man-made hills, forested areas, tress, bridges, and stone lanterns. These lanterns are carefully placed so as to add a romantic vibe to the scene, which is ideal for couples who go for romantic walks at night. The garden is also a famous place to go to during two seasons: the spring season and the fall season. The spring season brings about the blooming of cherry blossoms or the sakura. The gardens are packed with people during this period as the sakura adds to the prettiness of the gardens. On the other hand, the fall season brings about the red foliage. The garden is a great place to witness the autumn foliage during the fall season. On the other hand, walking opposite the direction of the Rikugien Gardens from Komagome Station is the Kyu Furukawa Gardens. The walk from Komagome Station to Kyu Furukawa Gardens from the north exit may take only about 12 minutes. Kyu Furukawa Gardens is quite famous throughout history not just as a scenic garden park but also as the place where harmony is cultivated between the Japanese culture and the Western culture. 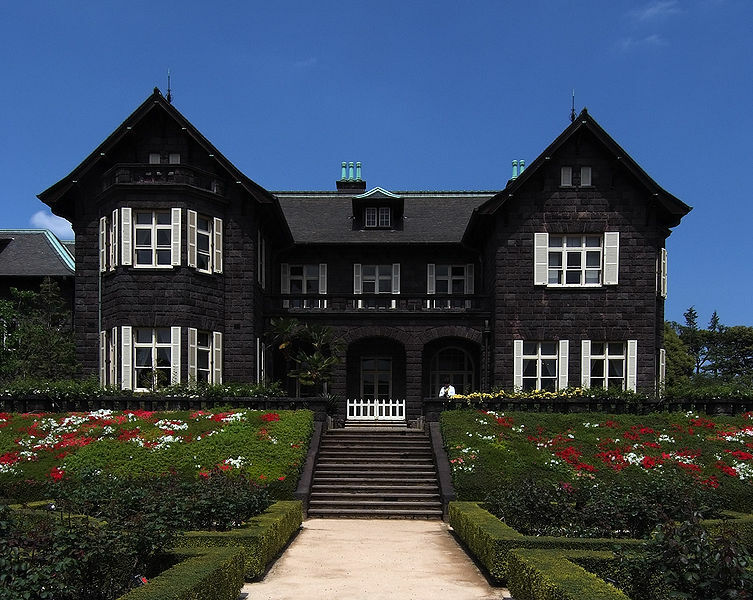 Formerly the second residence of a notable politician during the Meiji period, known as Mutsu Munemitsu, this property became under another family’s ownership later on. When the second son of Munemitsu was adopted into the Furukawa clan, the territory was also transferred to their ownership. The gardens are divided into two types, namely, the Western style and the Japanese style. The garden with the Western style is situated on the slope while the garden with the Japanese style is located on the lower level of the grounds. The Western-style garden was designed by an English architect who went by the name Josiah Condor. He was also the architect who designed the first dance hall in Japan known as the Rokumeikan. Another one of his works was the Holy Resurrection Cathedral called Nicholai-do located in Tokyo. On the other hand, the designed of the Japanese garden was none other that Ogawa Jihe, who hailed from Kyoto. Famously known as a pioneer of modern Japanese gardens, his design in the Kyu Furukawa Gardens is probably one of the most beautiful. Flowers that bloom in this garden include even seasonal ones such as camellias, hydrangeas, and cherry blossoms. The gardens also feature a countryside mansion that incorporated the English style. It is located on top of a hill with a nice view of the Japanese gardens just below it. A rosebud can also be found between the hillside and the trees that grow around the Japanese garden. To add a more serene view, there is a pond nearby that is stocked with fish and turtles, accentuated by a waterfall. The famous gardens in Komagome are not only perfect for couples who would like to take a romantic stroll in the garden parks and flower enthusiasts. Both gardens are also quite popular among photographers due to its vast array of beautiful flowers that are just waiting to be captured on film. People who wish to escape the noise and the crowds from the bustling areas in central Tokyo may also find this place serene. The Rikugien Gardens and the Kyu Furukawa Gardens are both open from 9 in the morning to 5 in the afternoon. However, it is important to note that entrance to the gardens will only be up to 4:30 in the afternoon. The entrance fee for the Rikugien Gardens is 300 yen for adults and 150 yen for over 65 years old. On the other hand, the entrance fee for Kyu Furukawa Gardens is 150 yen for adults and 70 yen for over 65 years old. Both gardens let children under elementary school age enter for free. Moreover, the entrance fee is also waived for both gardens every 4th of May and 1st of October. After the trip to Komagome, one may also like to head on over to another town near Komagome known as Sugamo. The town faces one of the ancient Edo Five Main Routes known as Nakasendo Avenue. The town itself is similar to Komagome, wherein it also gives off that “old downtown” vibe. Nonetheless, there are also other interesting sites to see in Sugamo. As a guide, one of the places to see in Sugamo is the Gogan-ji Temple. Also known as Togenuki Jizoson, Gogan-ji Temple first opened in the neighborhood of Reno in Tokyo known as Yushima in the year 1596. The settlement in Sugar only happened in the year 1891. One of its features is its principle Buddhist image, which is the “Enmei Ksitigarbha.” It is said that this Buddhist helps in curing diseases as well as prolonging life. Another place that one can visit when in Sugar is the Jizo Dori Shopping Street. Even during weekdays, this busy street is filled with shops and people, all lively to make a purchase. The place is so popular that it was also coined as “The Harajuku of Elderly Ladies.” There are various fairs that occur every month with around 200 stalls open to sell and serve customers. If one would be staying in Komagome until the evening, sleeping in hotels nearby may be an option. Some hotels in Komagome that provide not just great accommodation but exemplary service as well include Metz Komagome Hotel, Business Hotel Plaza Komagome, and Capsule Inn Komagome, all of which offer different types of rooms and beds. One can also opt for AirBnB hosts and units located in apartments in the area. This is so that people who would be strolling along the town of Komagome in the evening would not be in a rush to leave and get to the station just to get back to Tokyo or wherever one is usually staying. While Komagome is not exactly the most developed and high-end place in all of Japan, the town certainly is able to provide that relaxing and serene feeling to visitors. Traveling from other places such as Shinjuku or Ginza to Komagome is also not that hard. Komagome serves as a great and quiet escape away from the hustle and bustle of the cities. Its gardens are spectacular and a must-visit, especially for tourists who are into gardens and its beauty.